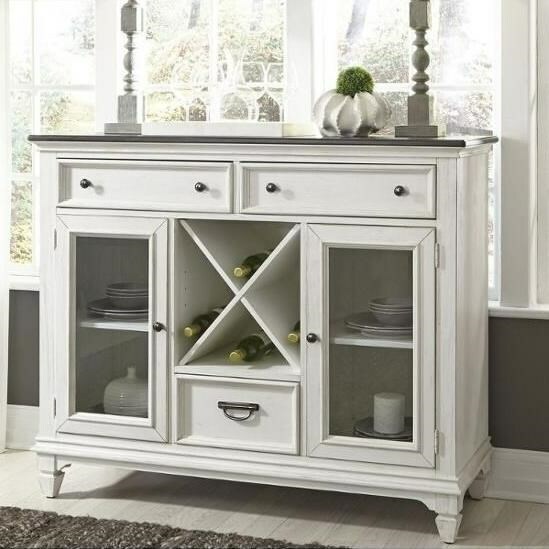 Bring timeless style and an abundance of storage to your dining room with this three drawer and two drawer buffet. The build in wine bottle storage allows you to quickly have access to your favorite bottles of wine in case you need a refill during a party or family get-together. The Allyson Park Transitional 3 Drawer 2 Door Buffet with Wine Bottle Storage by Liberty Furniture at Zak's Home in the Tri-Cities, Johnson City, Tennessee area. Product availability may vary. Contact us for the most current availability on this product.